Join the new Ribbon Rainbow Block of the Month Club! Not really a class, the Ribbon Rainbow Block of the Month Club runs from January 19, 2017 through August 1, 2017. This pattern is customizable, as you can sign up to make a King or a Queen Size Quilt. On the first of the month beginning in February we will charge your card and you can come in to pick up your kit for the month. 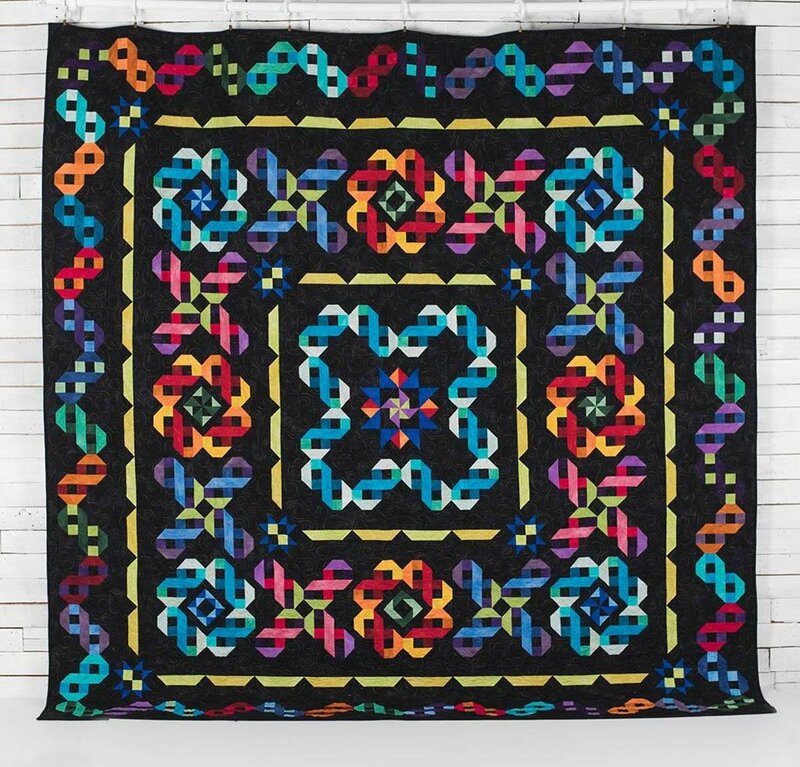 The first month you will receive general instructions, a picture of the Ribbon Rainbow Quilt, the pattern for block 1 and a fabric kit to complete the first block. Each month 2 – 6 you will receive a block pattern and fabric kit to make 1 blocks/sashing. In month 9, if you opted to make a King Size Quilt you will receive the pattern for the final block, a fabric kit to make 1 block and a finishing kit including sashing and setting fabrics with Directions for assembly and finishing.